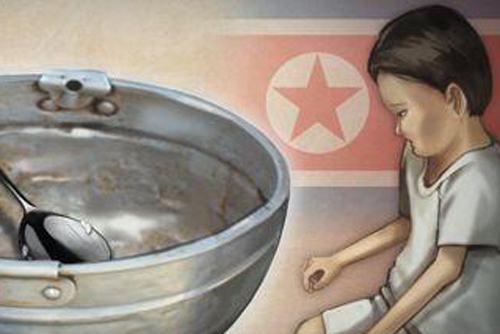 A UN report shows that more than two in five North Koreans are suffering from food insecurity and malnutrition. Radio Free Asia(RFA) cited a recent UN Food and Agriculture Organization(FAO) report that said chronic food insecurity and malnutrition are extensive in the North. The report says ten-point-nine million North Koreans, or 43 percent of the country’s population, are resorting to public ration systems for low-protein and low-fat diets. It also says one in three North Korean infants aged six to 23 months are not given necessary nutrition while one in five North Korean children are suffering from chronic malnutrition. Frequent natural disasters such as drought and flooding along with drinking water shortages and poor sanitation conditions are also contributing to the humanitarian crisis in the country.